Word of mouth is the best publicity... Check out what our patients think about us! 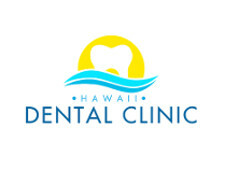 The staff at Lanai's Hawaii Dental Clinic are professional and courteous. I went in very nervous about getting dental work done due to the large number of dentists that I have been to that constantly pushed expensive treatment plans on me and weren't willing to listen to what I needed done and was able to pay for. Not so with this clinic. They discussed all my options and were willing to listen to me and reassured me about my upcoming dental work. I would recommend this clinic to family and friends and hope that everyone has the same experience that I had. I came here as a referral from my finance's friend. I've already gotten a teeth cleaning and all my wisdom teeth taken out here, it is very affordable and everyone here is great. I go to Dr. Harada and he did a great job and is easy to talk to. He even helped fix my fiance's tooth from not having to get a root canal. Holly is also a great dental hygienist and really helped clean my teeth on the right track and now I'm on a better teeth regimen thanks to them! I would recommend both of them for appointments I don't go to anyone else! Dr. Wong also was nice enough to email me to check and see how I was after my procedure. I've only lived in Hawaii a year but now I have my go to dentist office! Dr. Botros is very personable and professional and the staff is great!